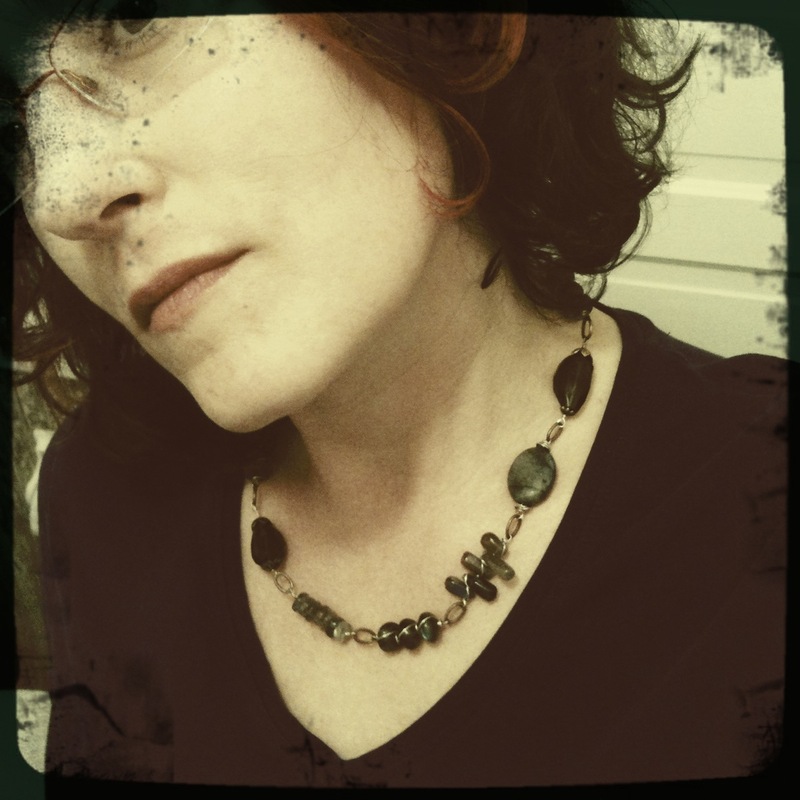 This necklace was made a few years ago when I was working on projects for a book. I had to make 30 or so projects for the book and because of the age of my children I worked at night. Some nights would be terrifically successful. I’d start on a project and take step-by-step photos of it as I went along. I’d finish the project in a few hours and then write it up. Materials, tools, step 1, 2,3 etc. It would be clockwork smooth. Other nights, not so much. I’d start a project, then start another. I’d check my email. I’d watch half a movie. I’d find the perfect CD to listen to. I’d make tea. I’d adjust my lighting. I’d bead for a bit. I’d go back to the first project. Then I’d make something for myself. Something that I totally didn’t need, maybe didn’t even want and certainly wasn’t going to use for the book. As far as I know, I have never worn this necklace until today. It was a lovely bit of procrastination, though. Assorted labradorite and smokey quartz. Copper wire and sterling wire. Copper bead caps. A bit of brass in the jump rings and some chain in the back.